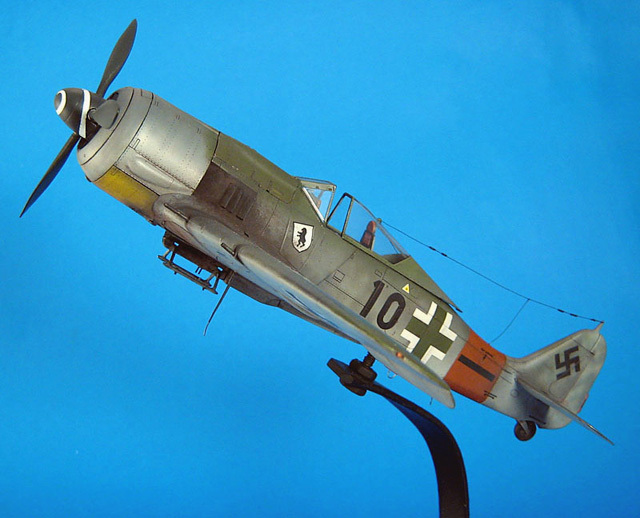 Here is my Eduard 1/48 scale Fw 190A-8/R2. 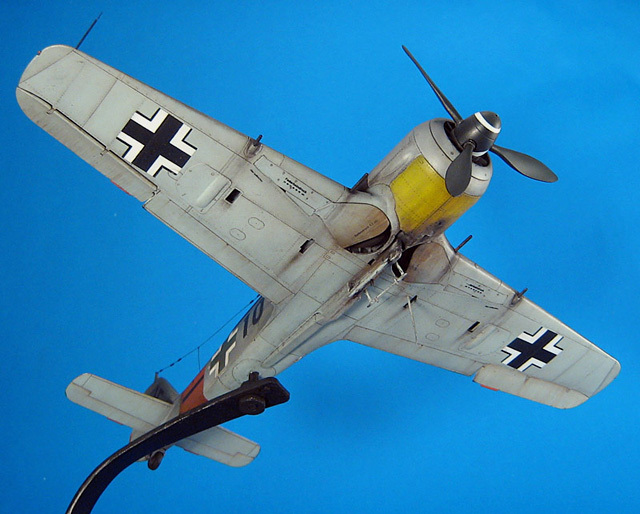 The model was built almost straight from the box with some minor scratchbuilt details. 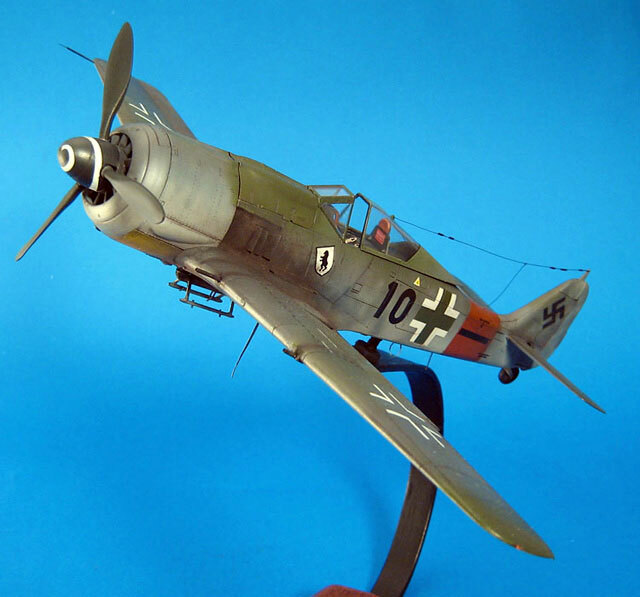 My Wurger was airbrushed with Vallejo Model Air paints and weathering with Mig productions pigment powders. 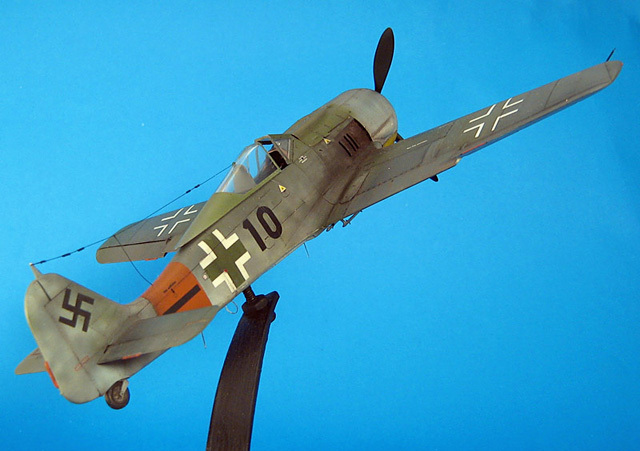 The markings were painted with Vallejo Model Color paints.